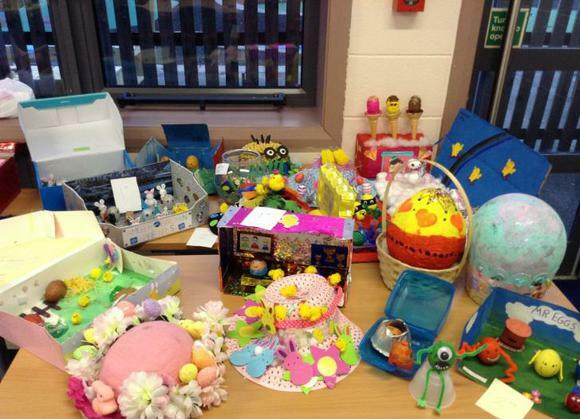 Thank you to all who took part in the decorated Easter egg / bonnet competition. As usual the standard of entries was outstanding and it was even more difficult than ever to choose a winner! Well done to Ella & Asa, Freddy & Ben, Elexus & Baillie, Lily & Mckenzie, Georgia H & Georgia W, Freya & Chloe, Amber & Mason and Sofia & Harry for winning 1st and 2nd places. Thank you to all our parents and children who bought raffle tickets too, you helped to raise a fantastic £106.00 for our Friends of Arundale PTA!